Our NASCAR team takes a look at the offseason ahead and what we can expect to see when 2018 comes around. In 2018 there will be new crop of fresh faces in NASCAR. Who do you think will break into Victory Lane first? Jim: While I think William Byron may be the most talented of the newcomers, I believe that Alex Bowman will be in the best position to come away with a victory before the others. 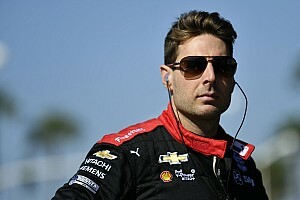 Bowman has plenty of experience already working with Hendrick Motorsports' No. 88 team and crew chief Greg Ives - something which will make his transition to full-time competition in the Cup series a little smoother than the others. Bowman has already shown he can put himself in position to win a Cup race and I don't believe it will be long before he does. Lee: Although Hendrick Motorsports has two new drivers to break in, I believe Chase Elliott has the best shot at finding Victory Lane before his teammates. 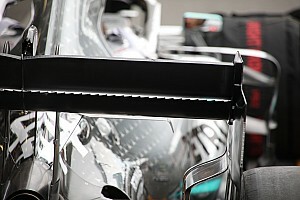 Elliott posted seven podium finishes last year. He increased his top fives, top 10s and led 202 additional laps. Elliott also improved his average finish by 2.6 positions. And Elliott’s said he’s looking forward to being reunited with the No. 9. Nick: Of the new guys coming in, William Byron. He proved he was able to win in both the Truck and Xfinity Series fairly quickly and has been impressively quick to adapt. Tim: I think Chase Elliott and Alex Bowman will battle to see who gets their first win. I give the edge to Elliott just because it appeared he was really close and Alex might need a little time to get comfortable in the car to start the season. I also think Daniel Suarez, William Byron and Erik Jones could also visit Victory Lane in 2018. Suarez showed a lot of improvement in his second visits to tracks in late 2017. After the successful alliance between Furniture Row Racing and Joe Gibbs Racing, which alliance(s) show the most promise for 2018? Jim: I see little reason why the Furniture Row-Joe Gibbs Racing alliance won't be the most successful again in 2018. Although I think some teams had caught up to FRR by the end of the 2017 season, I still think that grow will be in solid shape to kick off Martin Truex Jr.'s title defense. Lee: Front Row Motorsports will take a step forward this year. Under their new contract with Ford, I expect to see continued improvement. From a personnel standpoint, moving Erik Jones under the Joe Gibbs Racing roof should pay benefits to the young driver in his second full season on the tour. Nick: No reason to doubt the FRR/JGR alliance being as strong as ever. But I'm also interested to see how JTG does now that they have a technical alliance with Hendrick Motorsports. 2017 was a struggle for them, but I expect 2018 to be a big step forward. Tim: I feel the Furniture Row Racing team will keep rolling into 2018, following their successful 2017. The partnership with Joe Gibbs Racing appeared to be the final piece in the puzzle for the Denver-based team. 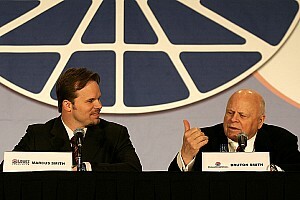 If you were the CEO of NASCAR for a day, what would be the first thing you would want to change and why? Jim: I would tear up the five-year agreements with tracks and force each track to do a cost-benefit analysis of each Monster Energy NASCAR Cup Series race date. If their continuance can be justified, so be it. 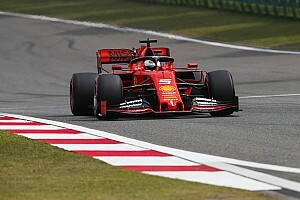 If not, then the race date would be subject to be either (1) moved to another track that could in turn justify its race date or (2) dropped from the schedule altogether in an effort to shorten the season. The second thing I would do would be to drop both off weekends and cut both the Daytona 500 and Coca-Cola 600/All-Star Race events to one week each, thereby immediately shortening the season by a month. Lee: I would reinstate prize winnings on the race reports. Fans want to know the purses. I don’t buy the excuse that revealing what drivers earn causes a ‘Us versus them’ culture. If NASCAR revealed the purses it would offer a clearer explanation as to the distribution of wealth based on the charters. Nick: A complete schedule overhaul. 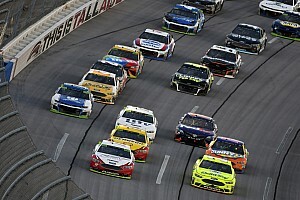 To begin with: Shorter races, more road courses and more short tracks, less 1.5 milers. This woule be the first area I would work on. Tim: I would shorten the schedule by running doubleheaders out west and in the southeast when possible. 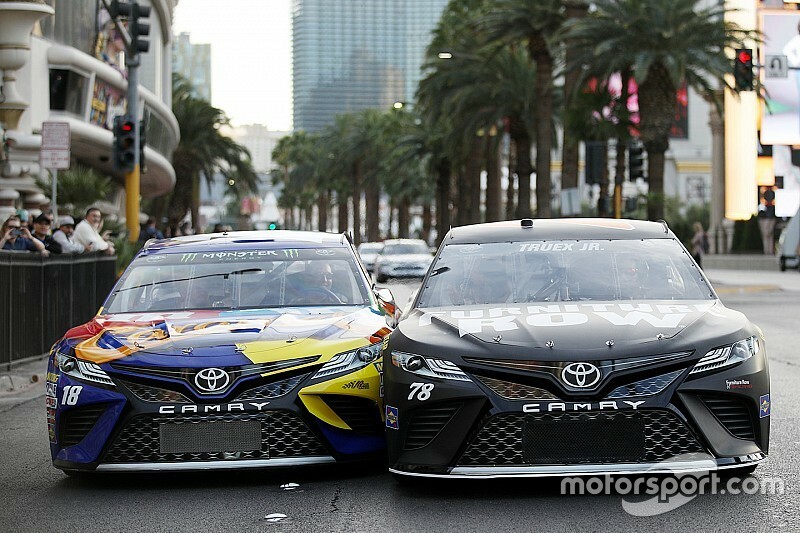 I know this might sound crazy, but let’s be honest, with attendance issues at some tracks, TV is keeping the event alive so why not make a couple of events ‘Made-for-TV events?” For example, in the spring, do the Las Vegas race on a Thursday night and then compete in Phoenix on Sunday. Or go to Auto Club and then Las Vegas. You could also hold an Atlanta race on a Thursday and then run at Richmond on that Sunday. I also like Jim’s idea of the Clash and All-Star races being held the same weekend at the Daytona 500 and Coca-Cola 600, respectively. This will shorten an already way too long season. I think if NASCAR could find a way to have no more than 30 race weekend it would benefit everyone. What storylines or key news items do you expect in NASCAR this offseason? Jim: Two things stick out as unresolved - the future of Richard Petty Motorsports and the disposition of Stewart-Haas Racing's No. 41 team and driver Kurt Busch. I expect an alliance of some sort will develop between Richard Childress Racing and RPM, but when that will come about remains unclear. In the end, I still expect Busch to re-sign with SHR, but the longer the process draws out, the more difficult position both SHR and Busch find themselves in. SHR needs to know whether it will field a fourth car and Busch's options to remain with a top-level Cup team pretty much disappear should be not stay with SHR. Lee: Still waiting to hear about the Nos. 41, 34 and 27. I still believe Kurt Busch will return to SHR. Michael McDowell is expected to drive the No. 34. And there will be some form of an alignment between the No. 27 team and Richard Petty Motorsports. The No. 77 Furniture Row Racing charter has aligned with JTG Daugherty Racing and Chris Buescher. Outside of the team alignments, NASCAR has some housekeeping issues to address prior to Speedweeks in February. Nick: Lee and Jim hit on all the major ones, but I am wondering if NASCAR will keep the status quo or has any other format changes they plan to throw out there before the Daytona 500. Tim: There are several items yet to be resolved. Will Kurt Busch officially return to the No. 41 at Stewart-Haas? Will Richard Childress Racing field the No. 27 next year? Also, what kind of car will Richard Petty Motorsports race with in 2018? Those are the three big questions I would like to see answered soon.